Sometimes, as parents, we lose our cool. I get it… we have so much on our plate on a daily basis that sometimes things seem to pile up and come crashing down upon us. 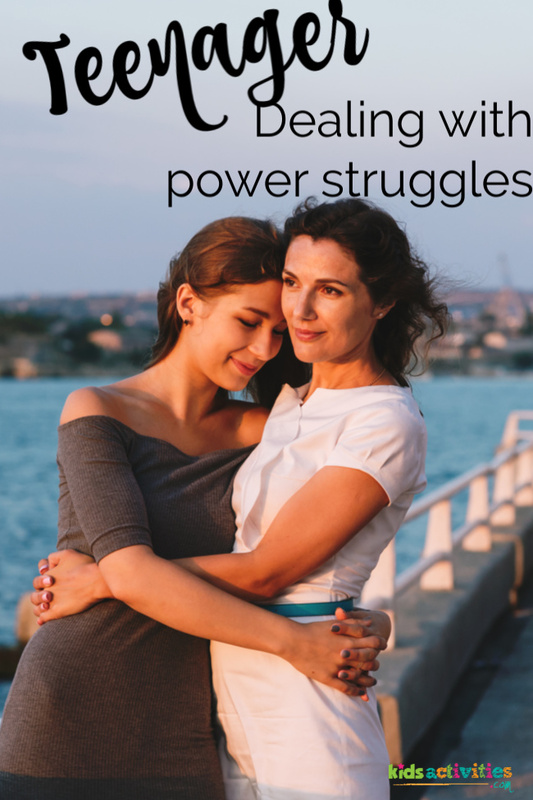 Dealing with a teenager and the power struggles can be hard unless you know how to make it better so it will eventually work for you. The other day I was running around the house trying to get things cleaned up before we had company over and I could feel my stress levels rising – I was about to yell for my kids to please just do something to help. BUT, I reminded myself that yelling at my kids was just about as useful as having an adult temper tantrum. That argumentative power struggle can be even worse as your kids grow up and grow to be independent teenagers. 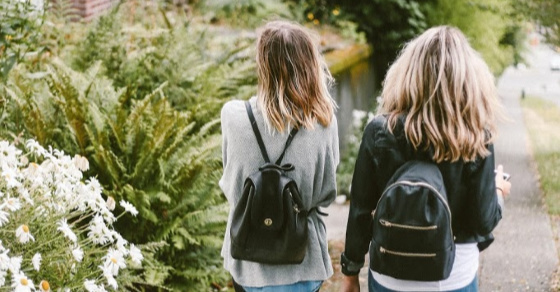 Teenagers are preparing to separate their parents and will often challenge rules that are being enforced to see how far they can push you. But not all teenager-parent relationships have to be based in arguments like tv shows and movies make them out to be! Letting your teen talk – as you listen with your undivided attention (hold your comments until they’re done the talking) – can sometimes be all that is needed to settle an argument. Listening may also help you understand how your child sees something differently than you do. Having a strong relationship of respect, trust, support, and listening can be one of the most powerful tools that you, as a parent, has. I even use this Teen One-on-One time calendar (perfect when parenting a teenage boy or girl) to help my teen & I have more chances to bond (so I can listen… and so will he). When a teen back talks or shows disrespect in some way, your reaction can determine how the conversation goes. Although it is not easy, if you can stay calm – and get your message across without shouting – it can end in a simple understanding. Being dramatic will only cause a teenager to withdrawal more, which will obviously only make things worse. Talking with your teen and trying to understand their thoughts and feelings is helpful for a good parent/teen relationship. Talking to your teen as an adult is helpful because they are growing out of the child stage of their life and moving into the adult phase. Teens act as if they don’t want to be cuddled by parents, but most teens still value a hug and a kiss (do not do it in front of their friends!). Never go to bed mad at each other. If they are locked away in their bedroom after an argument, give them (and yourself!) time to cool off and then knock on their door. Tell your teen that you want to talk. If nothing else, give a hug and remind him/her that you love them. You, as the parent, will have to make the effort to hug your teen and discuss the disagreement. If you don’t make the effort yourself, it may not happen. Teenagers still need to feel loved, but many will not make the effort to hug you. Teenagers are sensitive people who need to feel loved and important. No matter how bizarre their behavior may seem, the most important thing is how the parent deals with it. Being calm and not overreacting can make all the difference for the parent/teen relationship. Listen to your teen and try to understand how you two look at things differently and what your ideas might look like from their perspective. Who knows, you may even learn something from your teenager! Check out more articles like this on our Facebook page. Previous Post: « 45 Recipes That Sneak In Veggies!